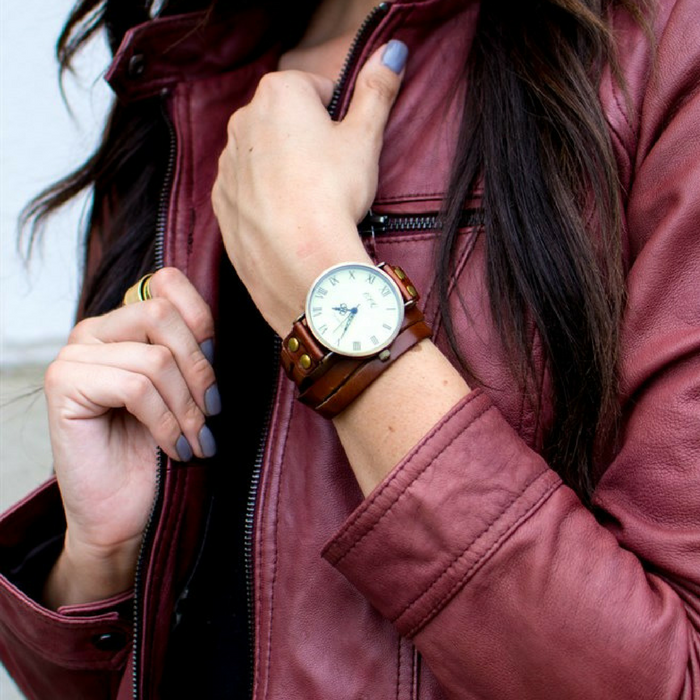 Vintage Leather Wrap Watches Just $7.99! Down From $30! You are here: Home / Instagram / Vintage Leather Wrap Watches Just $7.99! Down From $30! Until February 8 only! Hurry over to Jane where you can score these Vintage Leather Wrap Watches for just $7.99 down from $29.99! Shipping is $3.49 for the first item and $1.49 for each additional item! Wrap yourself in rustic elegance with their newest watch – the Vintage Leather Wrap! Featuring an over-sized watch face, genuine leather strap and antiqued bronze finish, these watches are absolutely stunning! These complete any look worn alone, but are also perfect for layering with everything from chunky or dainty bangles, cuffs or anything in between, the styling options are endless. Dress them up for a night out or wear every day, you will love these!